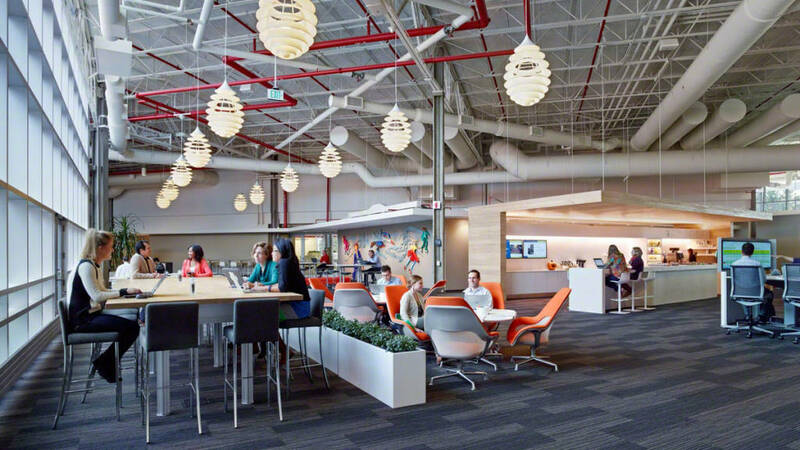 GRAND RAPIDS, MI, February 18, 2016 – Fortune has recognized Steelcase Inc. (NYSE:SCS) as one of its 2016 “World’s Most Admired Companies” in the Home Equipment and Furnishings industry sector. Steelcase, the global leader in its industry, moves up the ranks and takes the 2nd spot in the category earning high remarks in all nine criteria. Other notable companies in the group include Whirlpool, Stanley Black & Decker and Newell Rubbermaid. Fortune describes the Most Admired list as the “definitive report card on corporate reputations.” Ranked by business experts through surveys, the companies featured on the list represent the pinnacle of excellence in nine key performance areas, from people management to global competitiveness. In the survey, Steelcase’s highest scores came in the Innovation, Social Responsibility and Quality of Products/Services categories. “Celebrating 10 years of recognition on this list and standing tall with other global leaders is evidence of the hardworking, innovative team members we have all over the globe. We’re honored and grateful for the opportunity to share this moment with them,” said Jim Keane, President and CEO of Steelcase Inc. Invested in renewable energy equivalent to 100% of global electricity consumption, the company continues to reduce energy, water, and waste consumption to meet ambitious 2020 goals – despite expanding global production. Employees offered a corporate record of service hours in the community – more than 12,000 hours. Steelcase also introduced several award winning products in 2015. NeoCon recognition included four Best of NeoCon Awards for the Brody™ worklounge, Thread™ power distribution system and two healthcare environment surface materials: Play Date and the Checkup Collection. The company also received two Interior Design HiP Awards and two Buildings Magazine Product Innovations Awards. The Brody worklounge has also been added to the list of finalists for a 2016 Edison Award. Fortune’s rankings are published each year and reflect the observations and opinions of executives, directors and analysts from a total of 652 companies in 30 countries. Respondents rate their industry peers and competitors on nine criteria: innovation, people management, use of corporate assets, social responsibility, quality of management, long-term investment, financial soundness, quality of products and services and global competitiveness. More information on the World’s Most Admired Companies can be found at Fortune.com.